The Tamil Nadu State Chief Minister J Jayalalithaa was admitted in Chennai Appolo hospital with the fever on September 23rd evening. 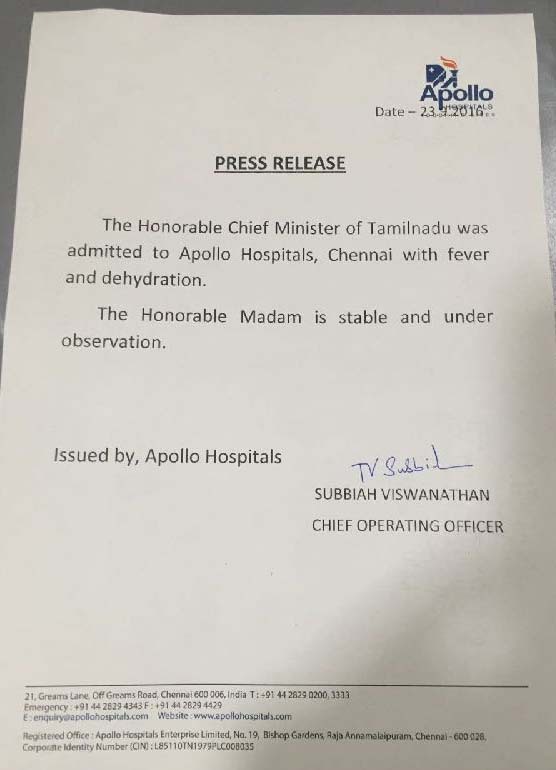 The Apollo hospital issued the press release statement on midnight as she was suffering from the fever and dehydration. Also, the press release added that she was being under the observation. The Official Twitter handling of AIADMK tweeted about this news as Jayalalithaa admitted to Apollo hospital for fever and dehydration. 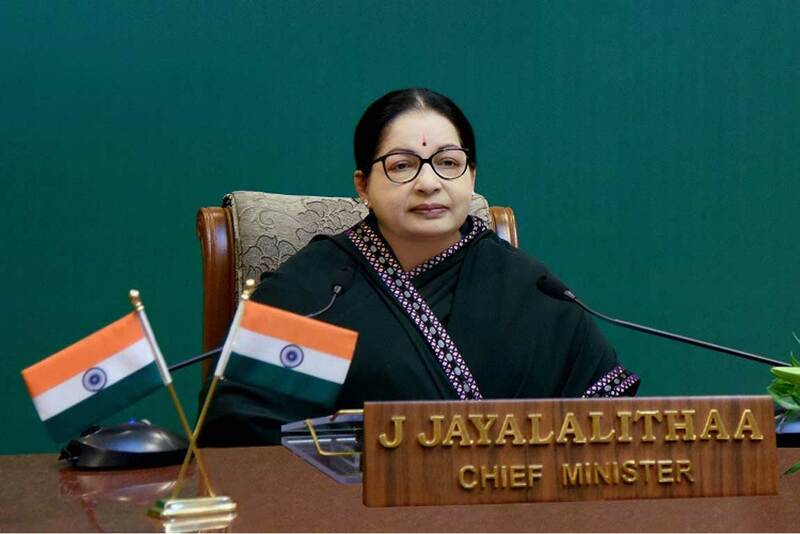 The Tamil Nadu 68 year old Chief Minister J Jayalalithaa is suffering from fever and dehydration. Early, her lawyer was revealed in her bail petition to the Karnataka High Court in the Jayalalithaa’s disproportionate assets case as she suffers from the diabetes, hypertension, and cellulitis. Now, she was admitted to the Apollo hospital for the fever on Thursday evening. Some of the sources said as she will back to her house, Poes Garden as soon before the Friday Morning. But, the official report has not disclosed about J Jayalalithaa’s discharge. A day before she flagged 200 new buses for important cities over Tamil Nadu. Early morning, she started the distribution of free 8 gms of gold to 12,500 women under marriage assistance scheme is respective.